EAW051915 ENGLAND (1953). Bridge Street and the town centre, Andover, 1953. This image was marked by Aerofilms Ltd for photo editing. 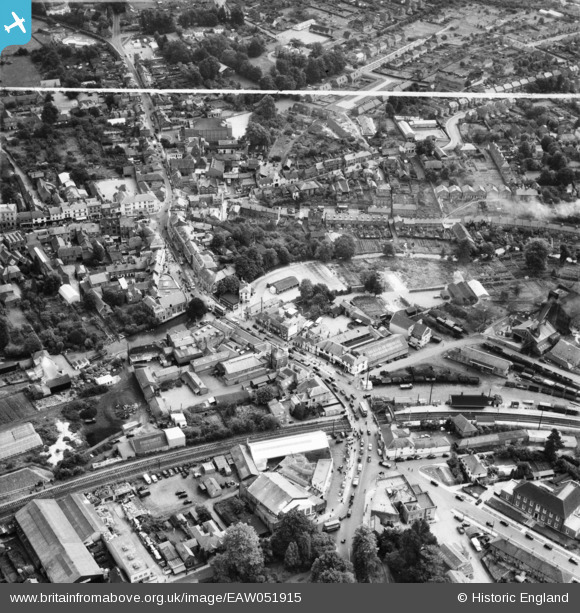 Title [EAW051915] Bridge Street and the town centre, Andover, 1953. This image was marked by Aerofilms Ltd for photo editing. Now The Star and Garter Hotel. I stayed there recently in one of the rooms overlooking the front.